Rebbetzin Chaya Mushka (Moussia) Schneerson was born in Babinovitch, near the Russian city of Lubavitch, on Shabbat, the 25th of Adar, in 1901. She was the second of three daughters of the sixth Lubavitcher Rebbe, Rabbi Yosef Yitzchak and his wife, Rebbetzin Nechama Dina Schneersohn. 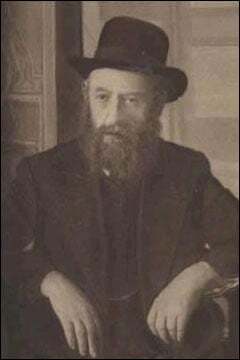 When she was born, her grandfather, the fifth Lubavitcher Rebbe, Rabbi Shalom DovBer, was travelling abroad and he telegraphed her father, "...Mazal tov on the birth of your daughter ...if she has not yet been named, she should be called Chaya Mushka (the name of the wife of the Tzemach Tzedek [the third Lubavitcher Rebbe])." From her earliest years, the Rebbetzin absorbed the purity and holiness that surrounded her, both in the house of her grandfather and that of her father. Compiled and edited by Rabbi Shmuel Marcus. A concise and illuminating narrative provides glimpses of the true stature of this modest woman. Her biography is an account of the trials and triumphs of the Lubavitcher movement during those tumultuous times.